KPMG in Romania is pleased to announce the appointment of Ramona Jurubiță as Senior Partner of KPMG in Romania and Moldova, effective 1 October 2018. Ramona will succeed Șerban Toader after his three consecutive appointments as leader of the professional services firm. 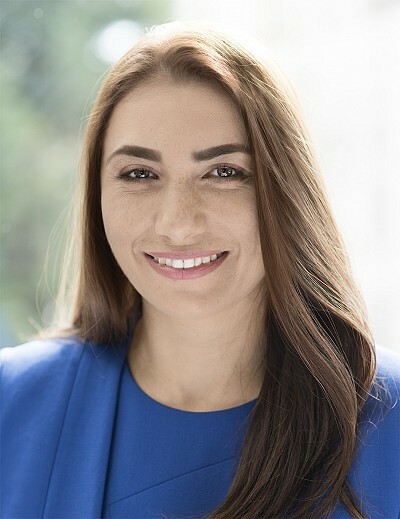 Ramona is currently Deputy Senior Partner and Head of Tax & Legal at KPMG in Romania and a member of the Executive Committee of the member firms of KPMG in Romania. As Senior Partner, Ramona will coordinate the governance and strategy of the firm and will represent the interests of the KPMG group of firms in Romania both on the domestic market and internationally. Ramona will be the fourth Senior Partner to lead KPMG in Romania since the firm’s establishment in 1994, following François Gontard (1994-2001), Victor Kevehazi (2001-2007), and Șerban Toader (2007-2018). Șerban Toader comments: ”I am proud that Ramona has been chosen to take on the responsibility of being the Senior Partner of KPMG in Romania and Moldova. Her experience, technical knowledge and leadership capabilities, demonstrated throughout her career, have propelled her to the top position in our firm. I congratulate her on this personal and professional achievement and I am sure that she will use her qualities of integrity, passion, dedication and managerial skills to take KPMG to a new level”. “I have the opportunity to work together with an extraordinary team, in a dynamic market and in a historic era of innovation. It is a unique challenge to be at the forefront of the digital transformation of the Romanian business environment. I am sure that we are ready for a new stage of development for ourselves and our clients, with the priority of consolidating our position as a trusted and leading member of our community”, says Ramona. “Șerban has inspired generations of professionals and encouraged the innovative and entrepreneurial spirit of our KPMG colleagues, contributing to the success of our clients, and I am happy to have been at his side throughout this process,” added Ramona. ​Growing your business on the capital market: Are you ready to benefit from listing on the stock exchange?